The dream toolset for marketing research. Visually research the Web, news, blogs, discussion forums, reviews, Twitter, Facebook, Google Plus, YouTube, and more, and gain marketing and competitive insights faster. Zakta’s flagship social curation app for the Web. Curate the Web on any topic of interest or expertise and share it with the world. 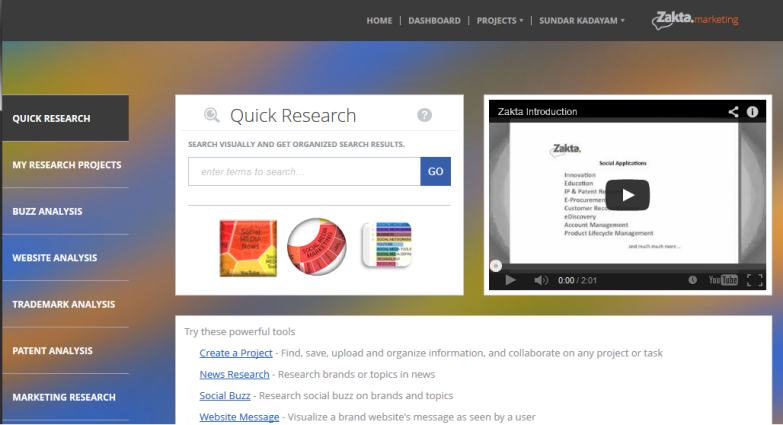 The world’s first collaborative search and curation engine, from Zakta, enables trusted people to search the Web together in real-time or asynchronously.